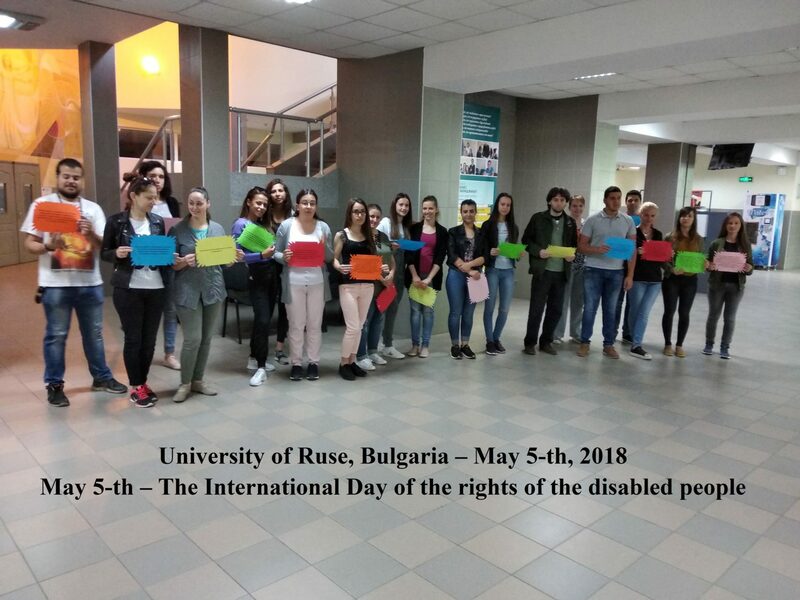 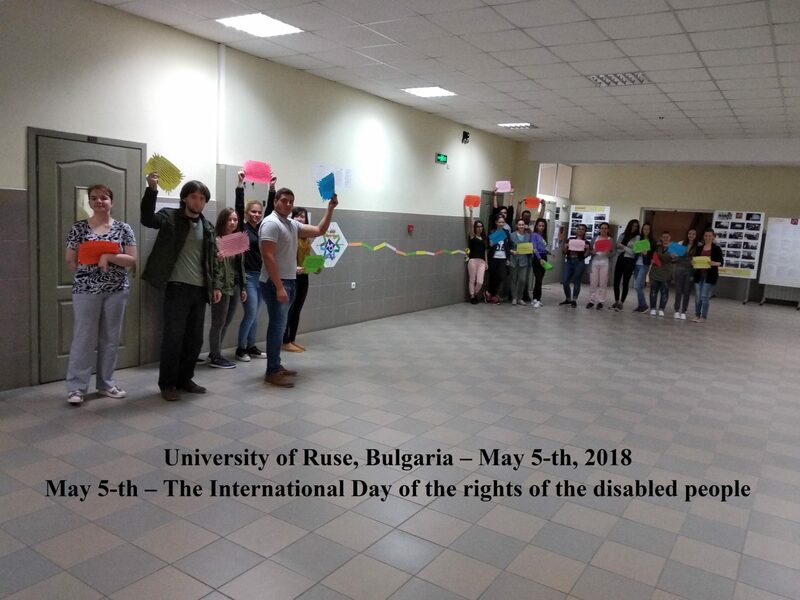 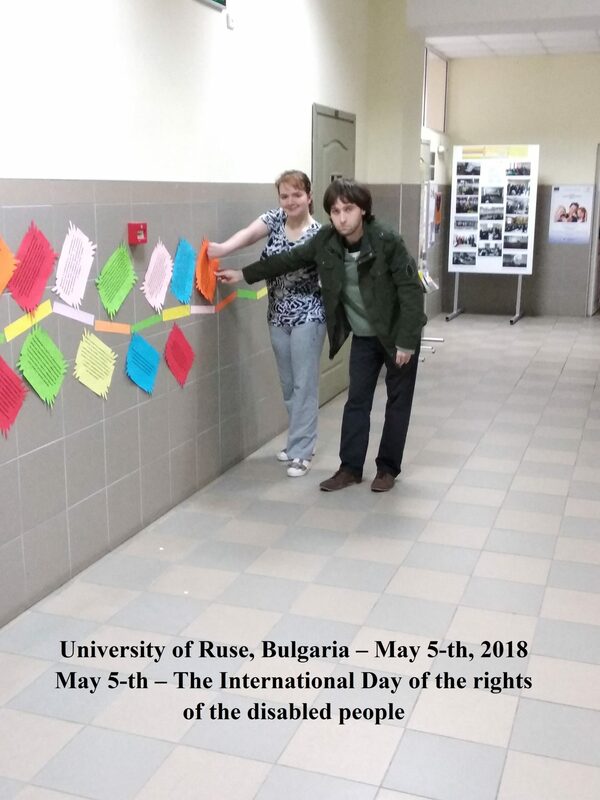 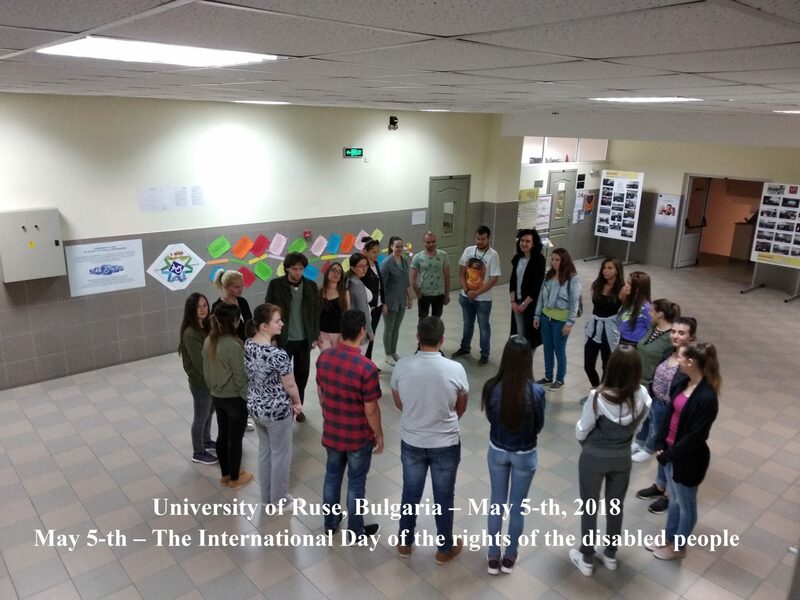 They present-ed the basic texts of the UN Convention on the Rights of Persons with Disabili-ties, signed and ratified by the European Union and the Republic of Bulgaria. 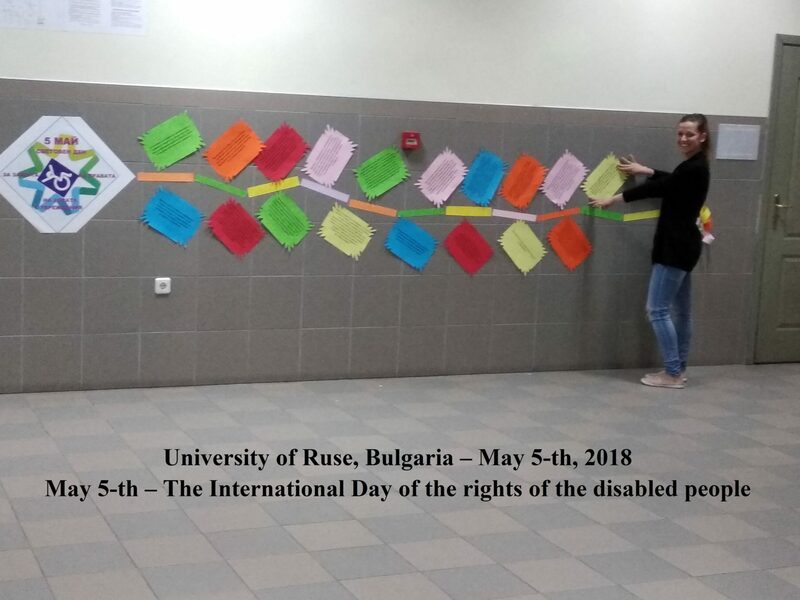 It commits its sides to ensure that disabled people are equal with all other citizens and grants opportunities for independent living. 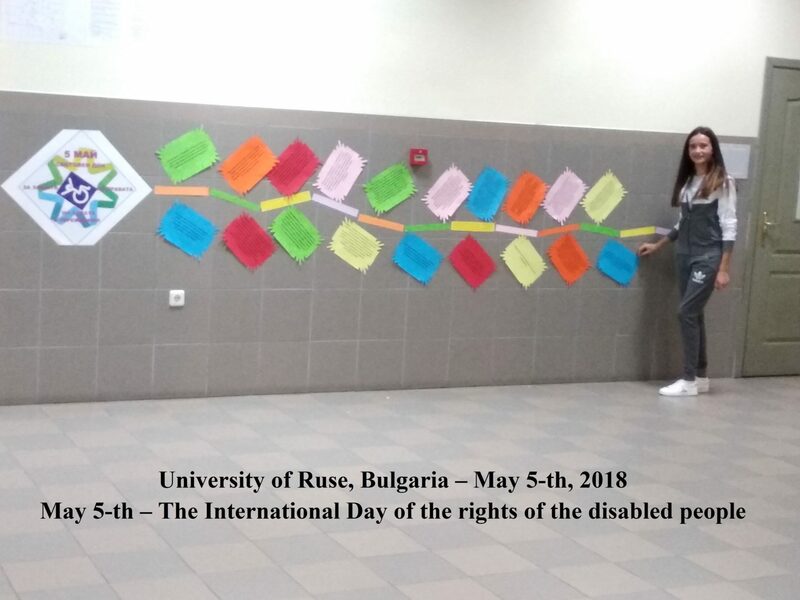 The texts written on colored pa-per sheets have been put on a kite, symbolizing the striving to ensure the rights of people with disabilities within the framework of powers of the European Un-ion and the need for countries to take active actions in important areas such as: access to education, employment, transport, infrastructure and public buildings, granting of voting rights, improving participation in political life and ensuring the full capacity of all people with disabilities. 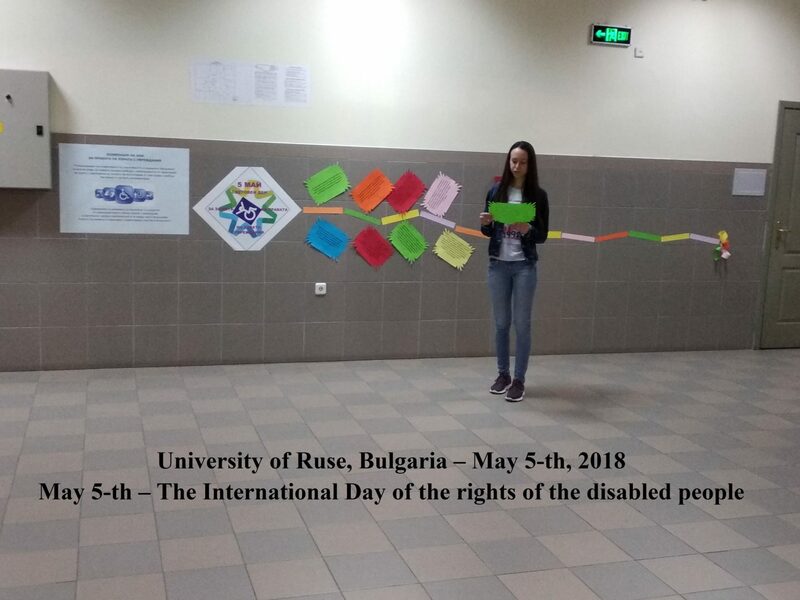 In the end, they shaped a heart-shaped figure revealing their empathy and their determination as future social workers to protect the rights of people with disabilities and provide them with the necessary professional support.